This wireless BT headset is suitable for most BT-enabled devices, such as, for iPhone/Android smartphones/tablets/laptops, and its wireless operating distance can up to 10m, easy and quick to connect. Built-in Mic, great for hands-free calling. 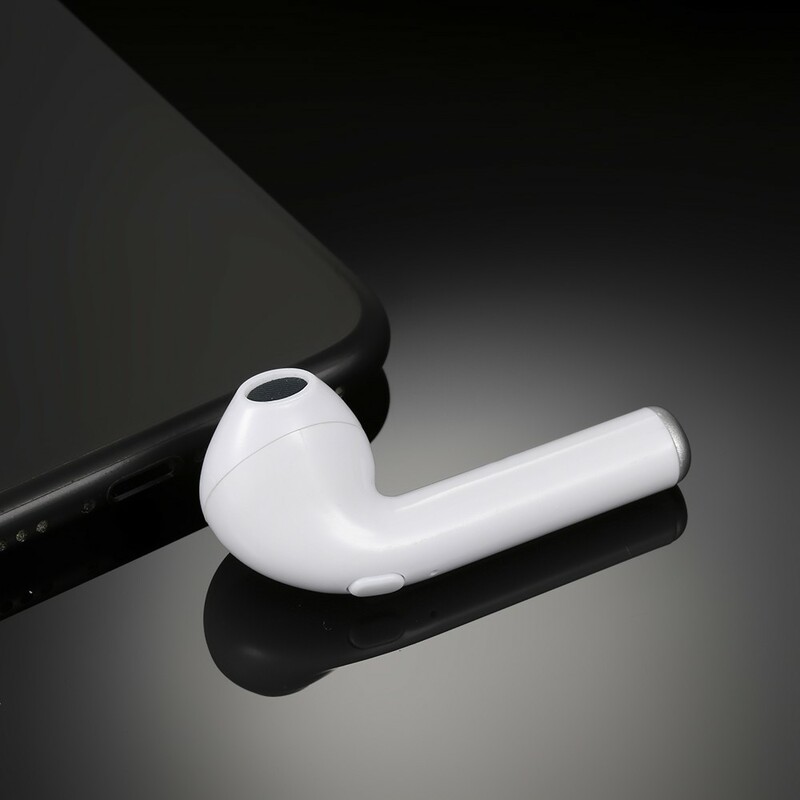 Ergonomic design, mini size and ultra lightweight, comfortable for long time wearing, and it ensures a comfortable listening and calling experience. Adopts advanced BT4.1 technology, widely compatible with most BT-enabled devices, easy and quick to connect. Built-in high quality microphone, great for hands-free calling. Supports intelligent DSP noise reduction, providing clear sound quality. Supports incoming calls voice broadcast for not missing any important calls, providing much convenience for your driving, working or doing sports. Supports last number of redial and English voice prompts function. Ergonomic wireless earbud design, ensuring it can be comfortably placed in your ear. Wide compatibility, suitable for iPhone/Android smartphones/tablets/laptops with BT function. It can connect automatically with the phone which has paired previously, very convenient. Built-in chargeable battery, allowing up to 3-4 hours of music playing, 6 hours of talking and 120 hours of standby time. For the IOS device, the battery status can be displayed on the screen. Stylish appearance and durable design, it will provide much convenience to enjoy wonderful stereo music and convenient hands-free calls.